What's Next? : Rush Limbaugh: a sense of humor? Rush Limbaugh: a sense of humor? 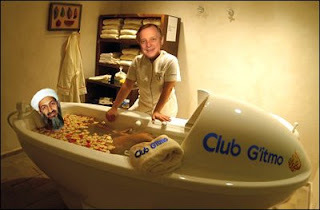 And on the website precisely, advertisement for the club, its amenities and particularly its "spa" (see below). Very unfunny, ain't it? I would have bought a T-shirt to have a proof of this some years down the road if I could bring myself to donating 20 bucks to this guy, but I could't, I really couldn't.